One hundred years ago today, the guns fell silent in Europe, marking the end of what many hoped would be the war to end all wars. Although UBC was only a few years old, many of its students, faculty and staff heeded the call to serve their country in that far-away conflict. 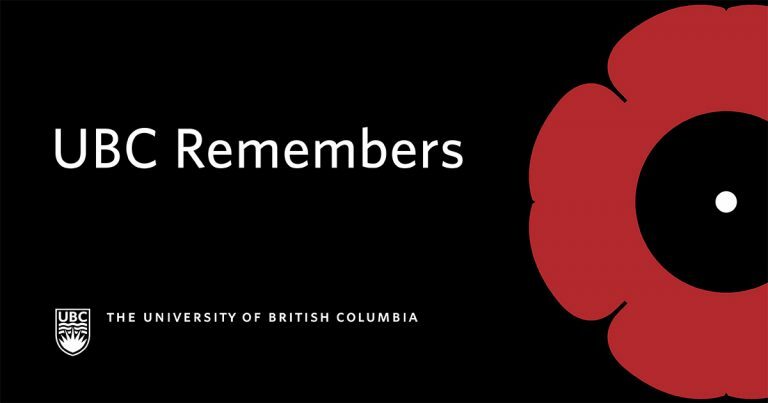 In the hundred years since, UBC students, faculty, staff and alumni have continued to answer the call of duty, serving as peacekeepers, as soldiers fighting against tyranny and oppression, as first responders, and in other ways. Representing the university in all its diversity, they gave of themselves to make the world a better place. Many of them paid the ultimate sacrifice. Others returned wounded, whether physically or mentally. Today, we honour them. We reflect on their valour and their sacrifice, and we reflect on our duty to them, to their well-being and to their re-integration into civilian life. And we resolve to ensure that their efforts were not in vain, to do our best to prevent future conflicts, so future generations can live in peace, justice and harmony. So that the guns will fall silent forever.